Nothing is fixed in advance; be prepared to adjust goals when circumstances change and insight improves. • Re-evaluation of project objectives at regular intervals. • Adjustment of goals and deadlines according to new insight. Aim at leadership focused at defending relevant stakeholders' interests. 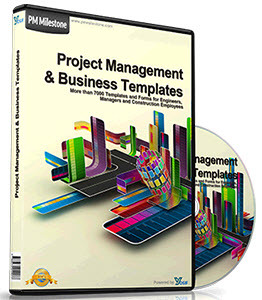 • Give project management authority to make connections to all stakeholders. 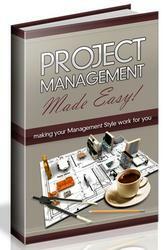 • Select non-manipulative person as project manager. Aim at open synthesis (not closed compromise), i.e. choices aimed at satisfaction of stakeholders concerned. • Equal treatment of powerful and less powerful stakeholders and of experts and laymen. • Valid information rather than power structure determines outcome. Proceed from ideal constraints of stakeholders to alleviated constraints to achieve a solution at all. • Think in terms of solution space, not solution point. • Respect constraint ownership; no change without stakeholder consent. Communication demands of decision-makers (designers, stakeholders). • Be open in communication; provide valid info to whoever needs it. • Be honest about slacks and margins, i.e. the solution space. • Communication is decision oriented. Persuade by supplying valid and relevant information. No hidden agenda or window dressing. Accept consequences of being honest no matter how painful these may be. Pay attention to both 'hard' and 'soft' information on progress. Pay equal attention to formal and informal information to anticipate pro-actively. Value and appreciate initiatives from players to warn in time for forthcoming disasters. Think in roles rather than tasks, using only broad job descriptions. Rely on mutual adjustment rather than sharp division of tasks. Make groups responsible, also for information they need: information pull. Create a climate for mutual adjustment of tasks. Allow project manager to delegate part of the coordination tasks to people he or she trusts. Promote integration of tasks by emphasis on functional performance achieved collectively. Standardisation functional and genuinely accepted by stakeholders. Be, selectively, open to new concepts. stakeholders with conflicting interests. It should be emphasised that complex projects can often be subdivided into smaller sub-projects that are relatively straightforward. Application of PII practices should then be limited to the overall project, whilst managing the straightforward sub-projects according to traditional PI project management practices, as summarised in Tables 1, 2 and 3. The project manager will largely take care of the management of the overall project himself, preferably applying the Open Design and Construct approach, and delegate the management of the subprojects to others who can manage those in the classical way. In this way, not everybody involved has to embrace the open stakeholder-oriented management style.